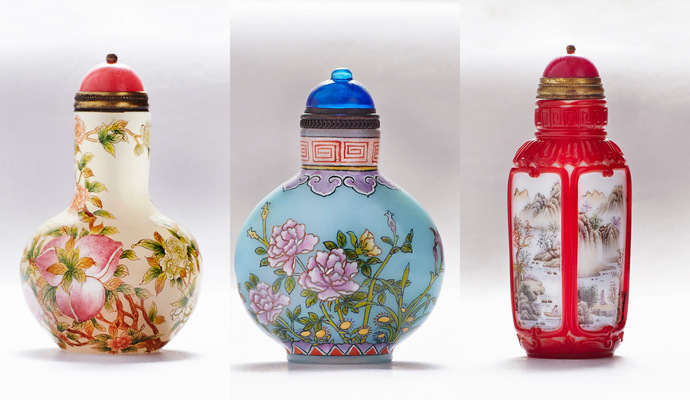 A pop-up exhibition of more than 200 enamel painted Chinese snuff bottles from the Dragon Seeds Art Gallery in Hong Kong are now on display till 27 April 2014 at Tian Fu Tea Room at PARKROYAL on Beach Road. Dating back to the 16th century and revered by Chinese emperors Kang Xi, Yong Zheng and Qian Long during the Qing dynasty, Chinese snuff bottles were first created to easily contain snuff, a mixture of finely ground tobacco leaves, herbs and spices introduced by the European missionaries, envoys and merchants to China. 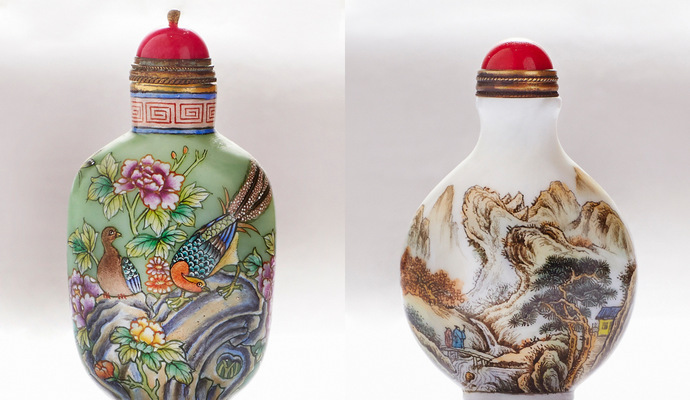 It takes highly skilled artisans to make a snuff bottle, tediously controlling kiln temperature to ensure a perfectly symmetrical bottle before intricately decorating by carving, reverse painting and drawing. Enjoy nine handcrafted dim sum and light bites paired with three varieties of premium Chinese brews from The Imperial High Tea at S$30++ per person from 2.30pm to 6pm daily and appreciate the snuff bottles at the same time. End of the tea with desserts that are paired with more heavily fermented teas such as red or black teas that provide a smooth and comforting finish after the dim sum feast. A Tian Fu Tea Room membership is also available at S$25 which comes with a complimentary Imperial High Tea voucher worth S$30++, enjoy 15% off tea when dining in and 30% off retail purchases with preferential rates and previews to special events and workshops. You can accumulate stamps to redeem for rewards. Tian Fu Tea Room at PARKROYAL on Beach Road is at 7500 Beach Road. Call +6565055755 for reservations.